The Docks are in at South Lake and the water level is finally coming up fast. Another 12 feet or so and the pontoons can be launched and it will begin to look like summertime at the lake. 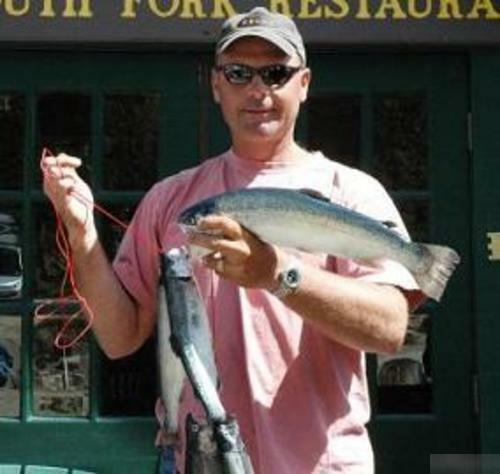 South produced several trophy rainbows this week topped by an 8lb 6oz monster caught Saturday by Jason Taylor. 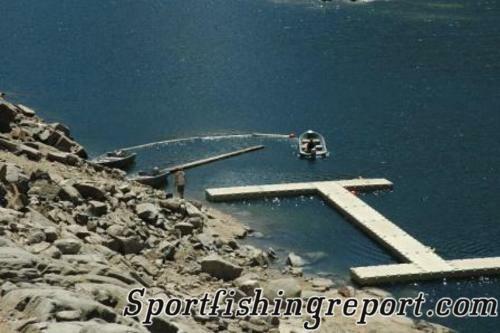 The bite at the lake inlet dropped off this week but anglers fishing the rock slide and the shallower areas near the dam did very well. The big news this week was the stocking of trophy Alpers stocked on Sunday including several tagged fish worth cash prizes as part of the Bishop Creek Canyon Summer Classic derby. So far only two tagged fish have come out of South Lake so there are plenty left. Bait anglers are still doing best with nighcrawlers fished under a bobber but green Powerbait is also working. Again this week, folks trolling wooly buggers on top are doing the best for high numbers of trout. 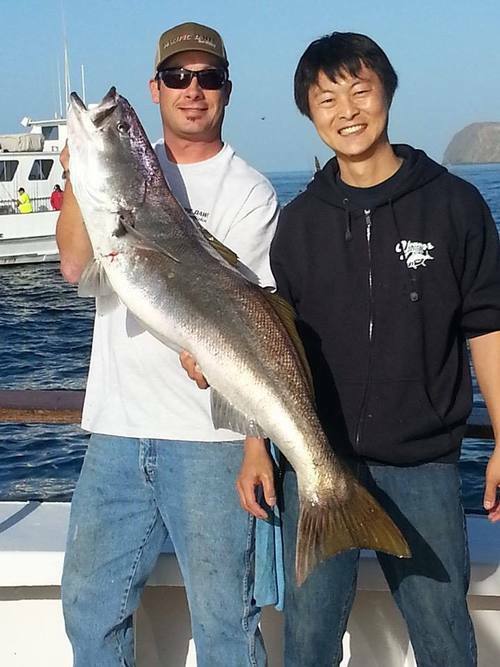 The most productive lures were Panther Martins and Kastmaster this week. The plastics bite slowed down a bit this week but the persistent plastics fisher still did well on Powerworms, Lip Ripperz and mini-jigs.